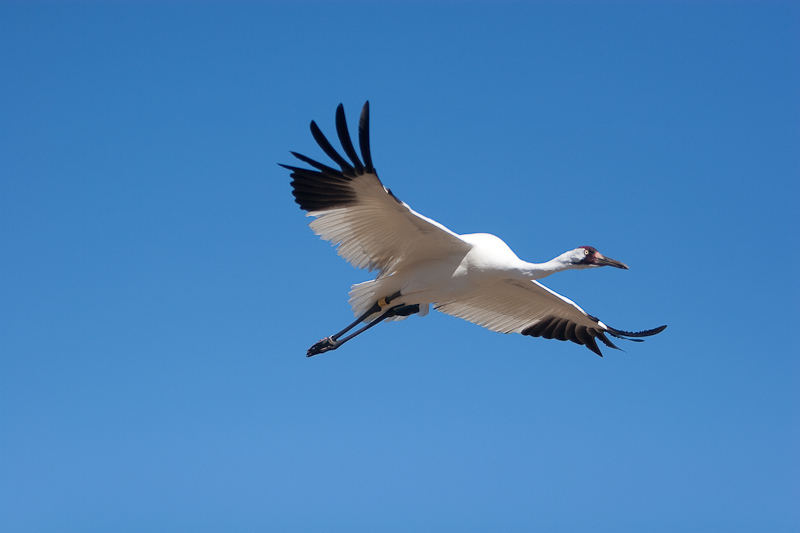 At one time, only 15 Whooping Cranes remained in the world. Today, the species remains endangered, but its population has increased to nearly 600 birds, thanks to conservation efforts. 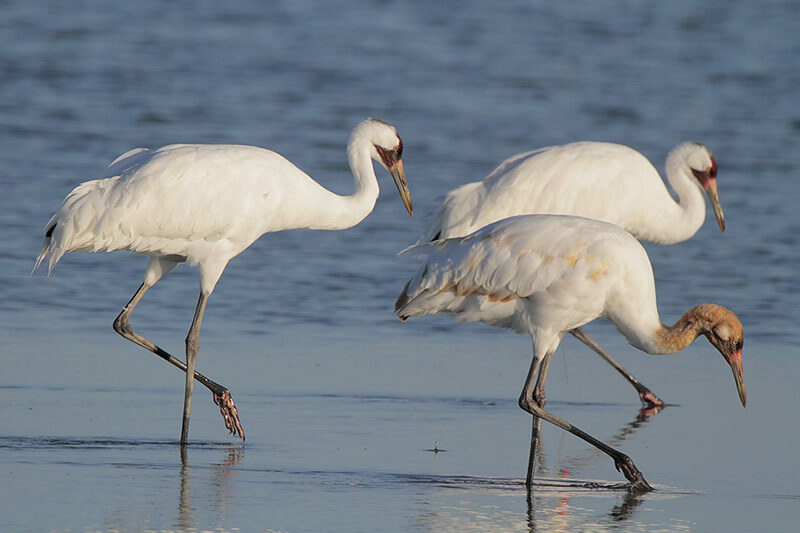 George Archibald, co-founder of the International Crane Foundation, explains how we can improve conditions for Whooping Cranes: “It’s all about habitat,” he says. 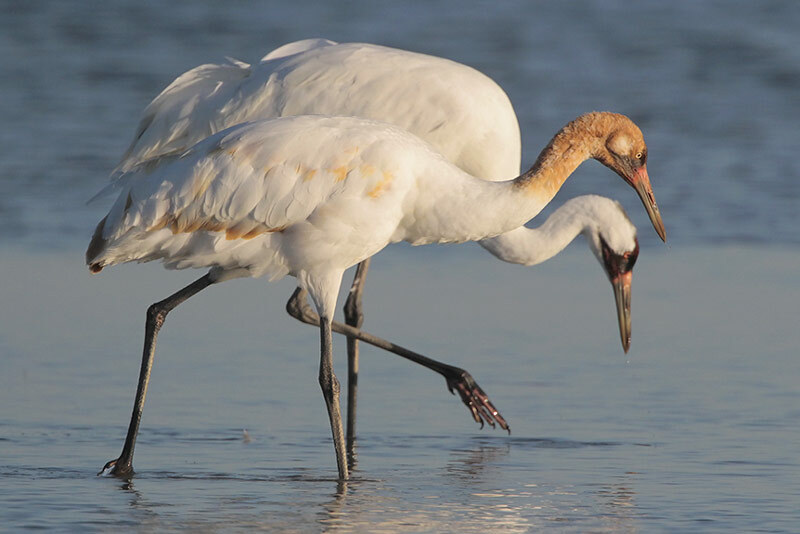 “I think that’s the fundamental thing.” Saving the areas where Whooping Cranes live, and protecting them from the negative impacts of human activity, will help the cranes recover and thrive. 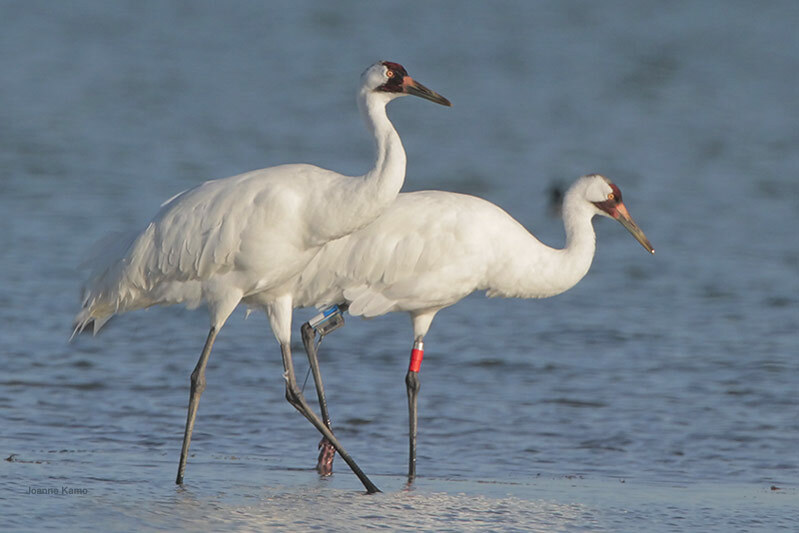 At one time, only 15 Whooping Cranes remained in the world. Today, there are still fewer than 600. George Archibald, is co-founder of the International Crane Foundation. We asked him what challenges Whooping Cranes – and cranes around the world – face. And cranes need safety when they fly. 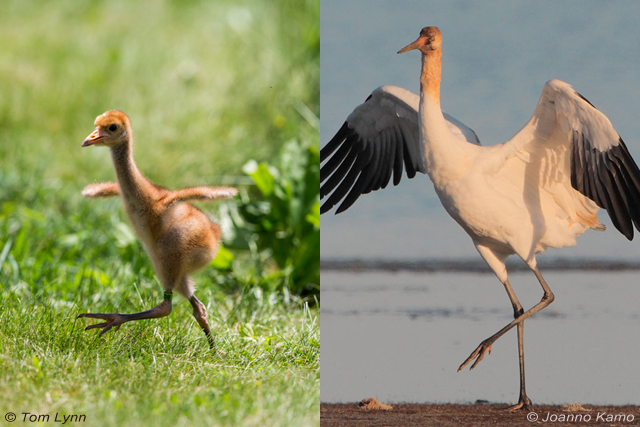 If you’d like to help cranes thrive, begin at our website, BirdNote.org. Bird sounds provided by The Macaulay Library of Natural Sounds at the Cornell Lab of Ornithology, Ithaca, New York. Calls of Whooping Cranes  recorded by G. Archibald. Flowing stream Nature Essentials SFX #18, recorded by Gordon Hempton of Soundtracker.com.